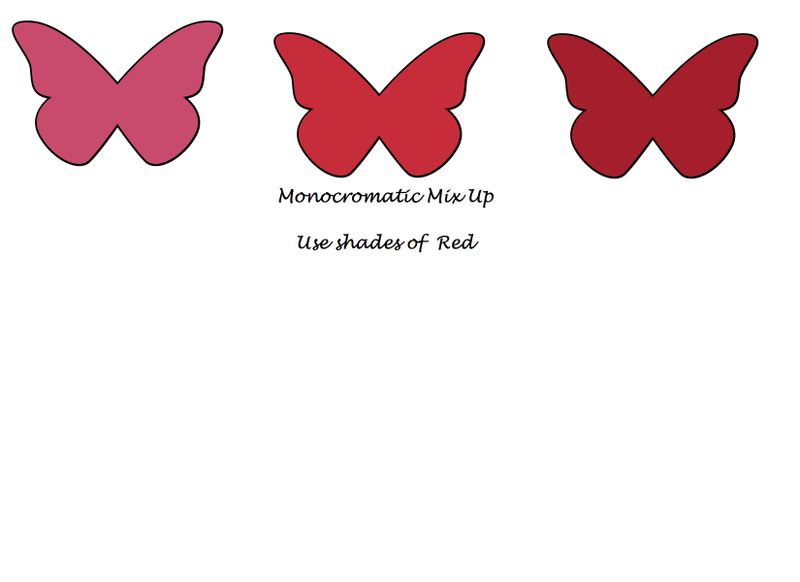 we are experimenting with monochromatic designs! Sounds easy, but it's a bit more challenging than I thought it would be! Loving the challenge tho!!! It's forcing me to explore all our amazing colors in a new way!!! Welcome all my friends from Helen's blog! I KNOW her creation was amazing! Now continue on to an equally amazing creation at Lizzie's place!!!! Such talent on this little hop!!! So this week we are working with reds!!!! 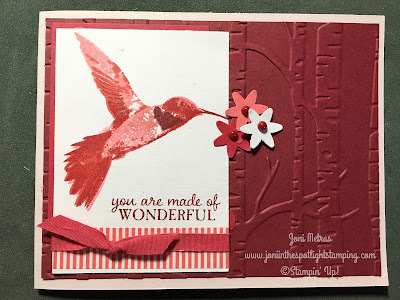 I have wanted to use this hummingbird from the Picture Perfect stamp set for awhile. I love the 3-step stamping, and this bird is beautiful. I haven't used it since the beginning of the summer, but I love it! I think it works well with the reds. Kind of different! The Blossom Punch made the little flowers. I do have the stamp set that coordinates, but I wanted to keep them simple so as not to distract from the hummingbird. Pearl Basic Jewels colored with red Sharpie, and yes, some retired ribbon. Sorry. I need to stock up on some new ribbons! Sad but true! I know there are pinks on the card, but I consider them a shade of red! Hope you agree! 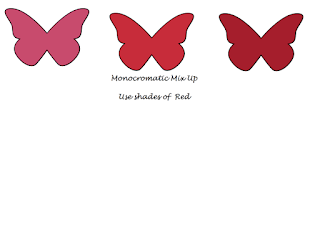 lol The reds used today are Real Red, Pink Pirouette, Blushing Bride, Cherry Cobbler and Flirty Flamingo. Love your card - the composition is interesting and balanced.